When the vehicle entered production in the mid to late 70’s it was a unique design with revolutionary features for its time. It was the first Self Propelled Gun to use a wheeled hull (Tatra T815) instead of tracked. The Czechoslovakian road infrastructure was deemed of such good quality, that the vehicle would not be required to do that much off-roading, so there was no real need for tracks. This had the added bonus in reduced maintenance and production costs, as tracks can cost tens of thousands to buy and replace. This made the vehicle more appealing as an export model to less affluent countries seeking to purchase a Self Propelled Gun. 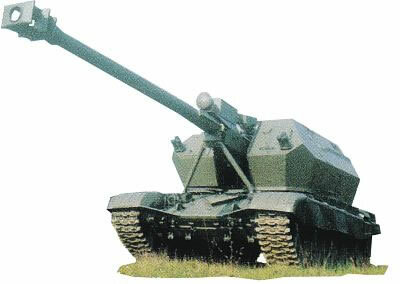 The DANA was also the first SPG that the main gun could be loaded at any angle it was elevated too, a feature now adopted by most modern Self Propelled Gun’s. It entered service with the former Czechoslovakian Army in 1981 who took delivery of 408. By 1994 when production ended a total of 750 had been manufactured. It’s estimated that Libya purchased around 120, Poland around 110 and Georgia 45 to 50. With the break up of the former Czechoslovakia, into the Czech Republic and Slovakia, the fleet of 408 was distributed between both new countries – Czech Republic 273 (Reported that 164 are operational) Slovakia 135. The driver – Located in the front cab, his additional duties are operating the 3 hydraulic fire stabilizers that are lowered to the ground to create a stable platform to fire from thus increasing accuracy. The commander – Also located in the front cab. The gunner – Sits on the left side of the main gun. He aims and fires the main gun. The loader – Also sitting on the left side of the main gun, he selects the size of the propellant charges so as to either reduce or increase the range of the fired shell. The ammo handler – Sitting on the right of the main gun, he sets the shells primers. 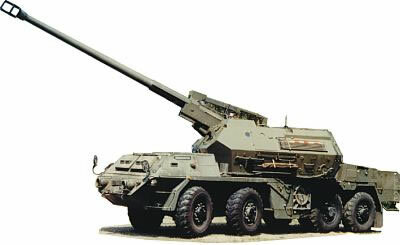 ZUZANA is a modern artillery system with a 45-caliber gun and automatic loader for loading of both, a projectile and charge. The system features long range, high accuracy and rate of fire, prompt preparation for firing and high level of mobility ensured by a modified TATRA 8×8 chassis. 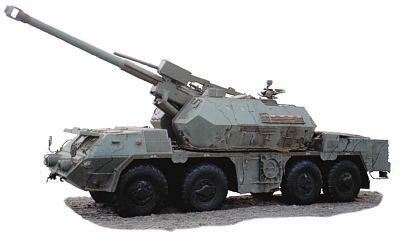 Design of the gun enables to use any NATO standard 155mm ammunition available on the market. The Fire Control System enables for a Multiple Round Simultaneous Impact (MRSI) mode. One of the unique features of ZUZANA is that the gun is mounted externally in between two totally separated compartments of the turret. This makes the system extremely safe for its crew that is completely out of reach of any potentially dangerous mechanics of the gun and autoloader plus the crew is protected from the gases generated during firing. 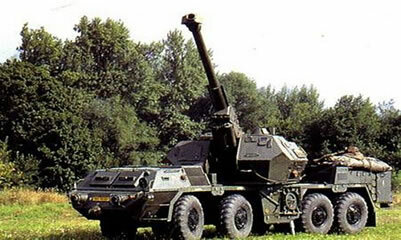 A unique design of ZUZANA 155 mm/45 caliber gun and turret makes it possible to implement the howitzer system almost on any existing MBT chassis as well as modified heavy wheeled chassis. HIMALAYA is a true counterpart to the wheeled ZUZANA version except that the HIMALAYA turret was made slightly longer to enable more rounds in the ammunition magazines to fully utilize high payload of T-72 chassis.